A while back we covered the best Xiaomi smartphones that you get right now, and now on public demand, we are back with the best Huawei smartphones that you get right now. From quite a while now Huawei has been spending lots of money on their research department. They are doing seriously good with their proprietary Kirin processors which delivers great performance while keeping the cost under flagship processor. If this continues we are sure that it will give a tough competition to Qualcomm and Exynos in upcoming years. I don’t know if you are from India but I am and from what I can say here they are providing flagship-level performance in smartphones at 50-70% of the price. This is not a drastic difference but you know “A penny saved is a penny earned”. So, without wasting any more of your time let’s just right into the list of best smartphones by Huawei that can be a bang for your buck this year. Huawei P20 Pro is the latest flagship from Huawei with all the latest features. It is powered by the latest Kirin 970 processor packed with 6 GB of RAM. The 6.1″ AMOLED screen is of 1080p with 18.7:9 ratio. It does have an iPhone X like notch but it is quite smaller. The front camera is whooping 24MP than can take some seriously awesome selfies. However, the fingerprint reader on this device is on the bottom front and hence it is not completely bezeless like iPhone X. The whopping 4000mAh lithium polymer battery should last at least a day. Now coming to the more interesting stuff. The smartphone is IP67 Certified which means it is dust and water resistant up to 1meter for 30 minutes. And now finally we can talk about the three cameras that we are getting on the back of the device. Now read this carefully: 40MP Primary Camera with f/1.8 aperture, 20MP Black & White Camera with f/1.6 aperture and 8MP 3x Optical Zoom lens. On paper, it is the best camera setup but from what I have heard the software needs improvement and probably they already pushed out updates. So if you have enough money will you buy this phone? If yes then why? If not then why? Let me know your answers in the comment section below. Check out MKBHD Huawei P20 Pro Review! Now if you look at the photos of Huawei Honor 10 & P20 Pro from the front you will see an almost same design, however, there is the difference on the back. So let’s find out. 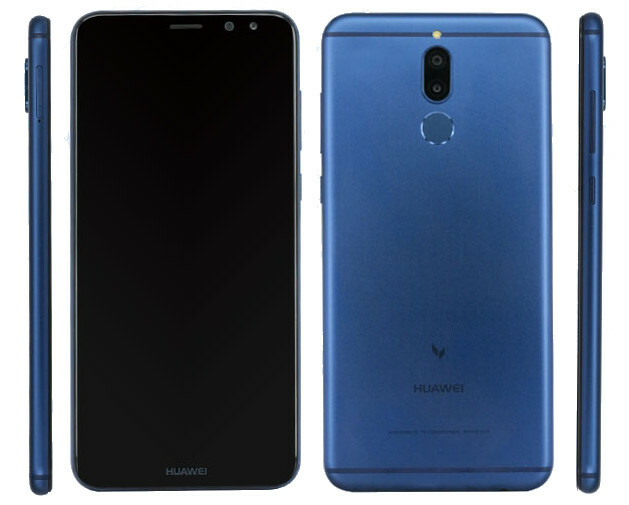 Huawei Honor 10 was announced on May 2018. It is powered by the latest Kirin 970 chipset. There are two variants available for you to choose from: One with 64GB of storage and 4GB of RAM and other with 128GB of storage and 6GB of RAM. If it were for me then I will definitely go with the second variant as there is no memory card slot on the device. Screen design is quite similar to the P20 Pro, however, there is a size difference. This one has 5.84″ screen with 19:9 aspect ratio. There is a dual camera setup on the back with one being 16MP with f/1.8 aperture and other being a 24MP black and white lens with f/1.8 aperture. The front camera has similar spec 20MP with f/2.0 aperture. The 3400 mAh lithium polymer battery may need a bump up in an evening to get the full-day battery but the fast-charging makes it easier. I know it sounds stupid but Nexus 6P is one of the best phone ever made by Huawei. Despite being this old it feels solid and fluid in the hand. I will not talk much about it but here is an overview. Nexus 6p was launched back in 2015 when SnapDragon 810 was the flagship chipset by Qualcomm. It is packed with SD 810 and 3 GB of RAM. The 5.7″ 1440p display gets pretty bright and it has 16:9 aspect ratio with 1440 x 2560 resolution. The front camera is 8MP (f/2.4) and the rear camera is 12.3 (f/2.0) and can take some great pictures. The 3.5mm headphone jack can provide the 24bit audio output at 96KHz. If you are running low on budget then you can definitely look out for this device for sure. Huawei Mate 10 Lite referred to as Honor 9i in the Indian Market. It was released a while back in November 2017. It is a mid-budget device and hence is powered by Kirin 659 Chipset with 4 GB of RAM and 64 GB of internal storage. The storage can be expanded with a microSD card up to 256 GB storage. It has the latest 18:9 aspect ratio 5.9″ screen with 1080 x 2160 resolution. The dual camera on the rear with one being 16MP (f/2.2) and the other being 2MP. The selfie camera is of 13MP (f/2.0) and the other selfie camera 2MP. Yes, you read it correctly, both sides have a dual camera setup. The 3340mAh lithium-ion battery will be enough to get you throughout the day considering 1080p display and power saving processor. It runs on the slightly older Android 7.0 nougat but hopefully, you will receive the latest update soon from Huawei. Coming to the other beast that is powered by the same Kirin 659 chipset, the Huawei Honor 9 Lite. It was launched a month after 9i, i.e. in December 2017. Let’s look into the specs a little. Huawei Honor 9 Lite is powered by Kirin 659 coupled with 3/4 GB of RAM and 32/64 GB of onboard storage. Luckily you also get a hybrid slim slot so that you can swap your 2nd SIM card with a microSD card (up to 256GB). The front and rear both have a similar dual camera setup as Honor 9i. However, the display is 5.65″ with 1080 x 2160 resolution. The 3000 mAh lithium polymer battery may struggle with a full day use but a slight top up in the evening can fix this easily. Huawei Honor 7C is one of the latest devices from Huawei that is going on sale in June 2018. It is built to target the low-budget market and hopefully, it will give a tough competition to the smartphones in this range. It is powered by Qualcomm Snapdragon 450 processor with 3/4 GB of RAM and 32/64 GB of storage. Despite being a dual SIM smartphone you get a dedicated microSD slot which is not common nowadays. You can expand it up to 256GB. The display is 5.99″ diagonally and has the latest 18:9 aspect ratio. Resolution of the screen is 720 x 1440 which means a 720p display. Nothing bad, but I was expecting 1080p to be a standard on this device. Honor 7C boasts a dual camera setup on the rear with one being 13MP and the other being 2 MP. It is a similar setup that we have seen in other Huawei devices. On the front, you get a single 8MP (f/2.0) camera that does a really awesome job. The 3000mAh lithium polymer battery is enough to last a full day considering the power saving processor and 720p display. So that was all on the best Huawei smartphones. If I missed mentioning any of your favorite Huawei devices then let me know in the comment section below. I will add it to the list ASAP. Previous articleGDPR Guide: What is GDPR, Checklist, How to Comply & WordPress? Next articleBitcoin Forks Explained: What are They & Why they Happen?